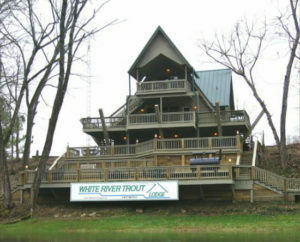 Our packages include lodging and meals at White River Trout Lodge. 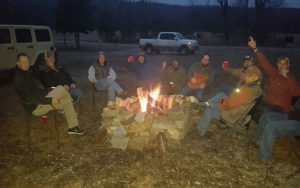 It is located on the banks of the White River about 8 miles downstream from Bull Shoals Dam – 2 miles down stream of White Hole and 3 miles upstream from Wildcat Shoal. 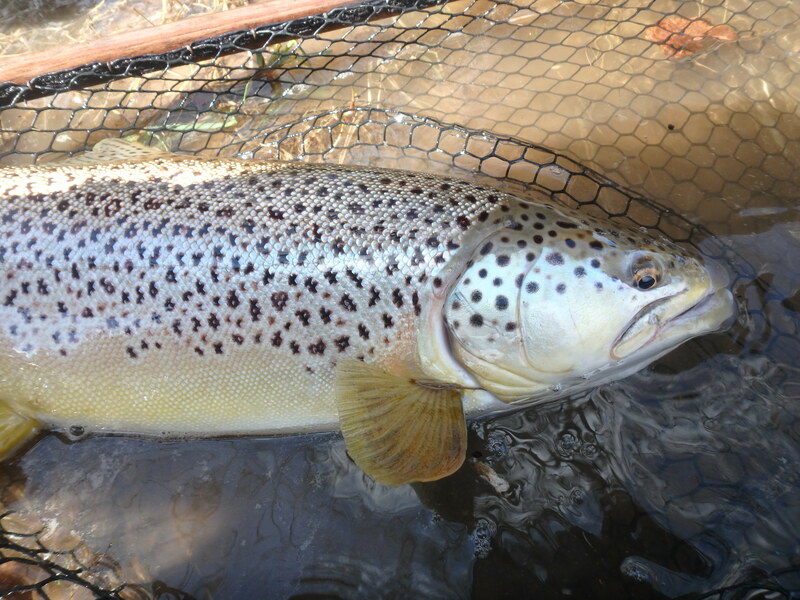 This location is right in the middle of some best Big Trout water on river and we have a private boat ramp. We stay right on the banks of the White River for a beautiful setting and view. There is lots of room for hanging out/relaxing after fishing and for our meals. Our typically day starts with a nice breakfast that we prepare right at the lodge. Enjoy a big breakfast and then its off to river to float and fish all day! Lunch is on the river or at times, depending on the section we are floating, we can stop by the lodge on the way by. After a full day of guided fishing, there’s a nice meal back at the lodge. 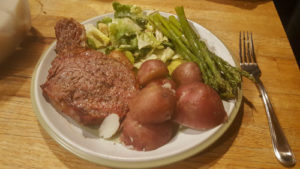 We like to grill steaks, roast in the slow cooker, pork tenderloins, etc., and have a nice sit down meal.